Because I resist this idea of “summer reading,” I thought I’d choose a summer reading-challenge novel that is quiet, thoughtful, and cannot easily be taken to the beach (where one reads with an eye to make sure the children don’t drown) or on a plane (where one reads with an eye toward the person sneezing beside her). 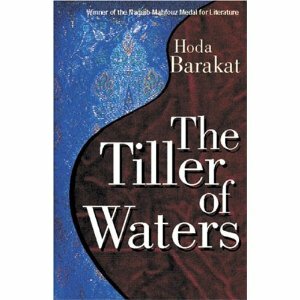 Hoda Barakat’s Tiller of Waters (translated by Marilyn Booth) is narrated by an exceptionally quiet man, Niqula Mitri. His life’s passion has been handed down from his well-traveled ancestors—a cloth merchant father, and grandfather—but he finds the past and present conspiring to close him in, shutting him up in solitude. I ate in the sitting room on a little tray, enjoying fully the little bursts of laughter coming from Shamsa, who had lit up my life, composed as it was of a very few windows, all of them so firmly closed. After Mitri’s apartment is taken over by refugees during Beirut’s protracted civil war, he re-visits the family’s old cloth shop, which is in a bombed-out, looted no-man’s land, and which he’d thought was completely destroyed. But down below, in the basement, everything is locked up and intact. Mitri moves in. From here, he weaves together three contrapuntal stories. In one, he recalls thousands of years of sometimes-terrible, sometimes-beautiful human history via the cloth of his father’s store, the cloth about which he spoke with his beloved Shamsa. In another, he remembers his father’s time, when synthetic fabrics took over the market. People forgot where things came from, and what they meant. Who, these days, sees in a length of cloth its origin, its place of birth, the caravans’ voyages? Who detects countries and regions, histories and stories, massed like a miracle in this city of ours? And then, after the era of synthetic forgetfulness, comes the present-moment story line, in which the hero is collecting roots and wild vegetables to eat, hiding out in a deserted market area, communicating with a pack of stray dogs in a bombed-out no-man’s land. The contrast of Mitri’s life of animal survival and the thousands of years of history is particularly rich with vivid complements and contrasts. Of course, there is much more to this nuanced, layered book, but my minute is up. It’s a terrific candidate for a book-club reading and discussion, as evidenced by the questions posted by Read Kutub. At some point soon, a group that’s put together an Arabic-lit-in-English book club in Denver, I hope, will give you tips for beginning your own.